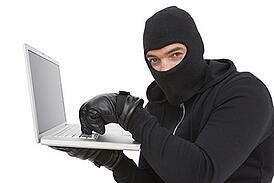 6 Tips to Prevent a Wi-Fi "Hijacking"
Why would you steal something you can't even see? When that something is Internet access, people can save a lot of money by piggybacking on a Wi-Fi network that doesn't belong to them. Being neighborly shouldn't extend to unwittingly sharing your Wi-Fi access. Here are some tips to help protect your network from virtual hijackers. Wi-Fi routers come pre-set with a default password to be used during installation and set-up. The standard passwords for most brands are published online, making it easy for others to find. As with all passwords, the more complex the better. Use a minimum of 12 characters and include a mix of symbols, numbers and upper- and lower-case letters. Routers often include this option in case the manufacturer's tech support workers need to provide troubleshooting. Unfortunately, outsiders can also use it to access your Wi-Fi, so make sure it's turned off. Your network is identified by a service set identifier, or SSID. The default is usually a generic name that includes the router's brand. Changing this feature does not make the network more secure per se, but it prevents confusion that could result in others connecting to your network, even accidentally. More important, the default name can catch the eye of hackers, alerting them to a network that probably has minimal security measures in place. WPA encryption is the current standard, with WPA2 being the strongest version. This system is compatible with hardware manufactured since 2006. Older routers use WEP, which is less secure but compatible with a wider range of hardware. Encryption is usually turned off by default, so be sure to double-check the setting. If you register your router, you can usually sign up to be automatically notified of firmware updates. Otherwise, you can simply check the manufacturer's website periodically. Your router's administration page displays a list of devices using your network. It's a good idea to check every now and then to make sure no unfamiliar devices are showing up. All wireless devices have a unique MAC address. As a safeguard, you can add the addresses from your devices to prevent access from outside. You can find detailed information about locating and changing settings in your router's manual. If you don't have one, you can usually find and download a copy on the manufacturer's website. One final bit of advice: change all of your passwords regularly, and use a different password for every site. That seems like an impossible thing to keep up with, but there are plenty of password generator tools that are helpful. Don’t have your own Wi-Fi network? Springs Apartments communities offer free Wi-Fi in the clubhouse for your convenience.